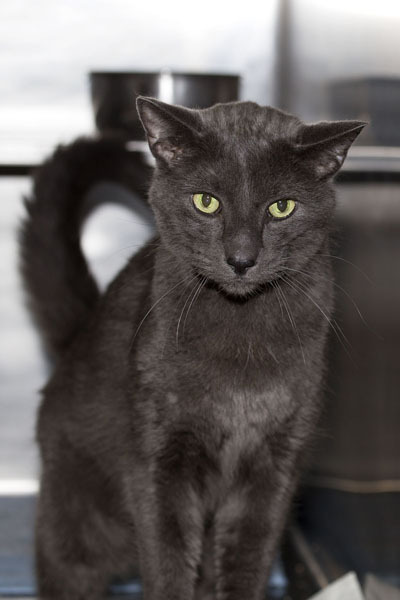 Brad is a very sweet adult cat who is looking for a loving home to be pampered in. He has a beautiful gray coat with absolutely stunning green eyes. Brad is a very affectionate cat, and anyone who spends even a minute with him would strongly agree. He is not high maintenance, but is looking for a home to be cherished in. If you would like to have the opportunity to experience the comfort and joy that Brad will bring to your heart, then come on down and meet him at the shelter! 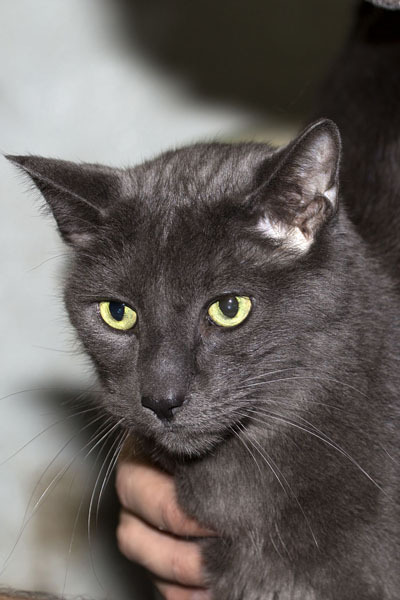 Lucky Brad was adopted on July 19, 2014. He is looking forward to enjoying his new home, and expressing his gratitude to his new family!